A high-grade copper-zinc volcanogenic massive sulphide (VMS) project in British Columbia will now be developed by Desert Star Resources (TSXV:DSR). The exploration company said on Thursday it paid C$28.8 million for Capstone Mining's (TSX:CS) Kutcho deposit, in exchange for Capstone taking a 9.9% stake in Desert Star. The 17,060-hectare project is in northern B.C. about 100 kilometres east of Deese Lake. Desert Star says it plans to advance the project to the fully permitted stage by the fourth quarter of 2019. According to Desert Star's corporate presentation, advancement of Kutcho ceased in 2013 when it was determined to be non-core to Capstone’s portfolio. The Vancouver-based miner has three producing mines – Minto in the Canadian Yukon territory, Pinto Valley in Arizona and Cozamin in Mexico. It is also developing the Santo Domingo copper-iron prospect in Chile. As for Kutcho, the copper-zinc-silver-gold VMS deposit is high-grade, states Desert Star, with probable reserves of 10.4 million tonnes graded 2.01% copper, with byproducts including 3.19% zinc, 34.61 grams per tonne silver, and 0.37 grams per tonne gold. 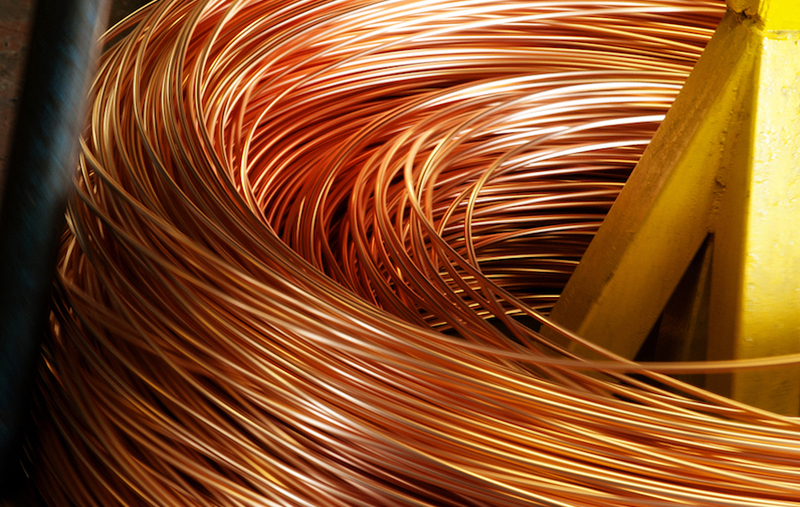 The copper-equivalent grade is 2.92%. A 2017 prefeasibility study has the 2,500 tonnes per day underground operation mining from two orebodies: Main and Esso. Annual production would be 14,966 tonnes copper and 20,862 tonnes zinc, plus gold and silver byproducts, for a minelife of 12 years. Capital costs are pegged at $220.7 million. Desert Star says it plans to advance the project to the fully permitted stage by the fourth quarter of 2019. Upcoming work includes geotechnical studies on the deposits, drilling to convert inferred resources to measured and indicated, metallurgical tests and environmental baseline studies. The history of Kutcho goes back nearly 50 years, with exploration starting there in 1968. Sumitomo, Esso Minerals, Barrrick Gold (NYSE:ABX) Western Keltic Mines, Sherwood Copper, and Capstone Mining, which put out a prefeasibility study in 2011, are among the companies that have been involved with advancing the deposit. Over $50 million has been spent on exploration so far, according to Desert Star. Capstone says it wanted to unload Kutcho to focus on its core properties, according to CEO Darren Pylot: "This agreement allows us to retain exposure to the Kutcho project, while strengthening our balance sheet. We look forward to seeing the Kutcho project advance under Desert Star's ownership," he said in a statement. Capstone plans to use the proceeds from the sale to pay down a US$350 million revolving credit facility.